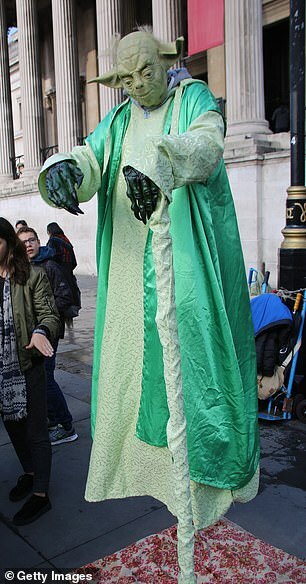 Plans for a £35.5million redevelopment of the National Portrait Gallery has sparked fears it could attract too many ‘floating Yoda’ street artists. 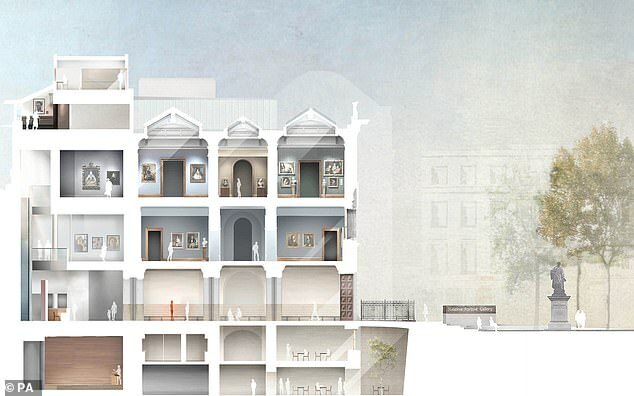 The transformation of the building in central London would create a new entrance and restore some of the building’s historic features. 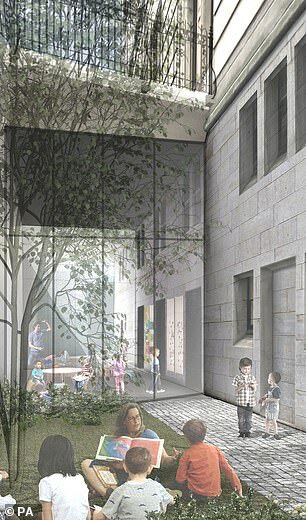 Part of the redesign also includes ‘bringing back to life’ its East Wing to create more hanging space and building a new public forecourt. 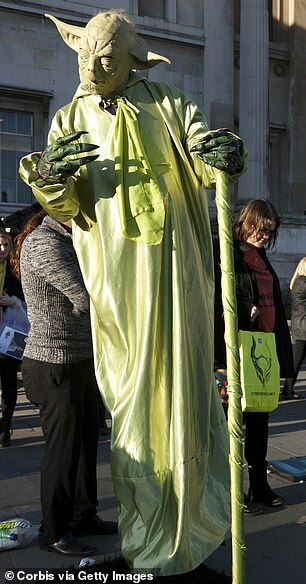 But concerns have been raised that it could follow its neighbour the National Gallery, with its entrance on Trafalgar Square becoming popular spot for performers dressed as levitating Yodas and other film characters. Architect Jamie Fobert said planning authorities agreed that a ‘much more open space’ was needed to ‘transform the unhappy piece of public realm’ which is currently there. The transformation will be the biggest since the gallery, which describes itself as the ‘nation’s family album’, opened its doors in 1896. It has launched a crowdfunding campaign to help pay for the work – with people able to sponsor a piece of mosaic or even adopt one of the busts which adorn the front of the building. Sponsoring a piece of mosaic in the new forecourt will cost £50, while the busts of the likes of Hans Holbein the Younger, Sir Anthony van Dyck and Sir Joshua Reynolds will set sponsors back £50,000. 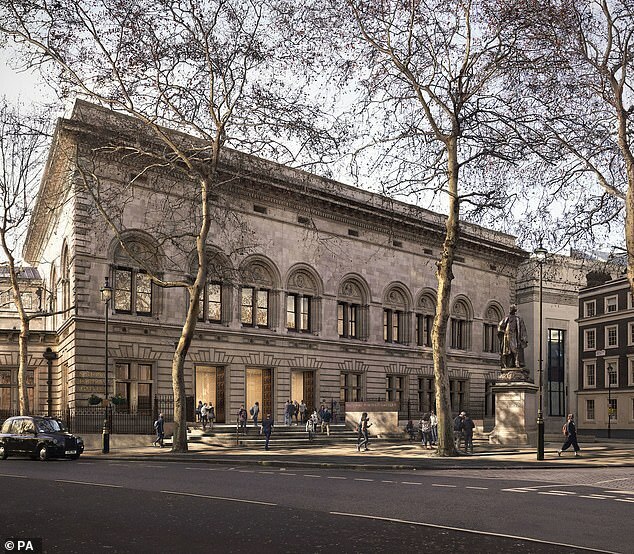 National Portrait Gallery director Dr Nicholas Cullinan said the crowdfunding campaign made the plans ‘more democratic and inclusive’. 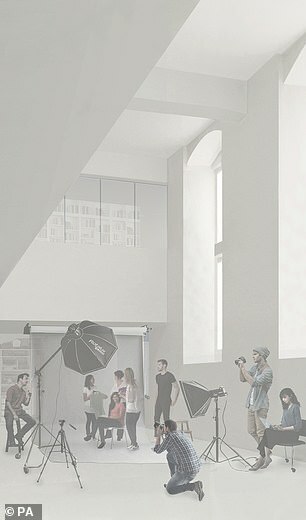 The ground floor will feature the gallery’s contemporary images of the likes of David Beckham and activist Malala Yousafzai. Dr Cullinan said: ‘It’s not about dumbing down or making those portraits more obvious; it’s about giving those portraits a fixed home. It will also be redisplaying all of the collection in its 40 galleries, providing a ‘greater and more diverse selection of portraits’. The gallery, whose recent shows have ranged from portraits of Michael Jackson to Cezanne, has already secured £27.4 million of its target, with the biggest donation from the Heritage Lottery Fund. The redevelopment will create around 20 per cent more public space, and building work is scheduled to begin in the summer of 2020.